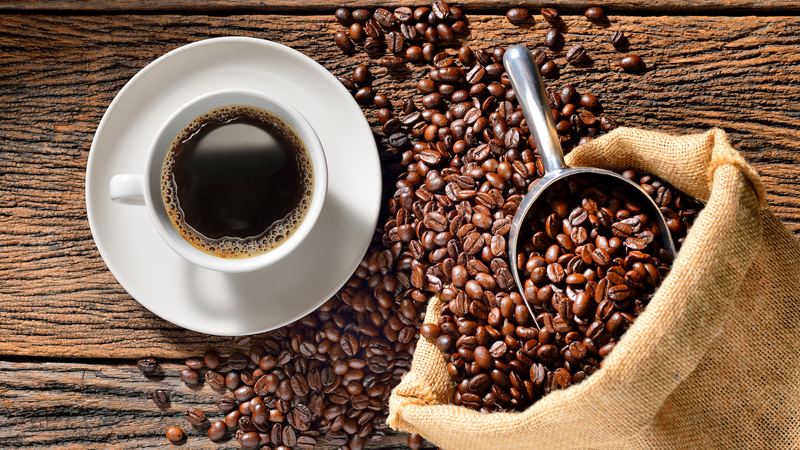 Coffee is one of America's most popular beverages. According to the National Coffee Association, 64 percent of adults drink at least one cup of the caffeinated beverage each day. And now, that cup may come with added perks. A new study conducted by Canadian researchers from the Krembil Brain Institute and published in Frontiers in Neuroscience found that drinking coffee may actually protect your brain. In fact, it may reduce your risk of developing Alzheimer's and/or Parkinson's disease. Dr. Donald Weaver, codirector of the Krembil Brain Institute and one of the study’s authors, said in a statement that this is not new news. “Coffee consumption does seem to have some correlation to a decreased risk of developing Alzheimer’s disease and Parkinson’s disease." However, the purpose of this study was to learn more. So researchers tested three different types of coffee: Starbucks VIA light roast, dark roast and decaffeinated dark roast. And while all varieties showed promise, they quickly learned the "blend" mattered. Dark roast and decaffeinated dark roast offered greater protection than light roast. But if caffeine didn't make the difference, what did? According to the study, it all came down to a group of compounds known as phenylindanes, which emerge as a result of the roasting process, as these compounds prevent (or inhibit) the clumping of both beta amyloid and tau, two protein fragments common in Alzheimer’s and Parkinson’s. This is the first study to investigate how phenylindanes interact with the proteins responsible for Alzheimer’s and Parkinson’s, Mancini said. And while these results show promise, “the next step would be to investigate how beneficial these compounds are, and whether they have the ability to enter the bloodstream or cross the blood-brain barrier,” he added. In the meantime, continue enjoying your coffee whenever and however you like, because the bitter brew still offers innumerable health benefits.